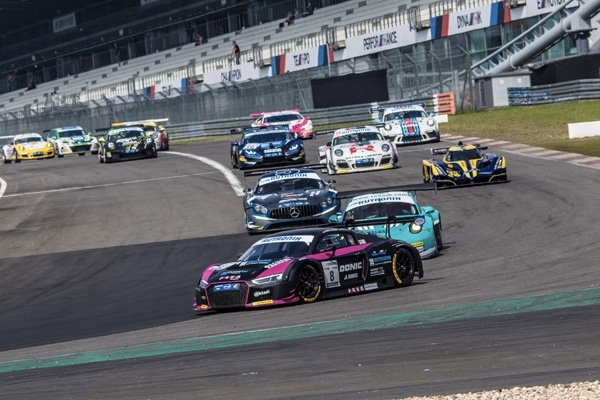 At thundery weather conditions on Friday, nearly 30 cars started into the 4th race weekend of the DMV GTC / DUNLOP 60 series on the Grand Prix race track of the traditional Nürburgring. 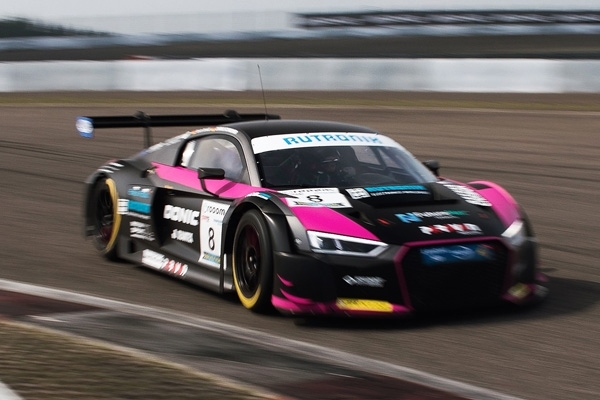 Shortly before the free practice in the morning, the race track was completely flooded due to a heavy thundershower and after a few minutes Carrie parked her Audi R8 LMS GT3 of the HCB Rutronik team in the pits again. Because of strong aquaplaning, driving was much too dangerous! 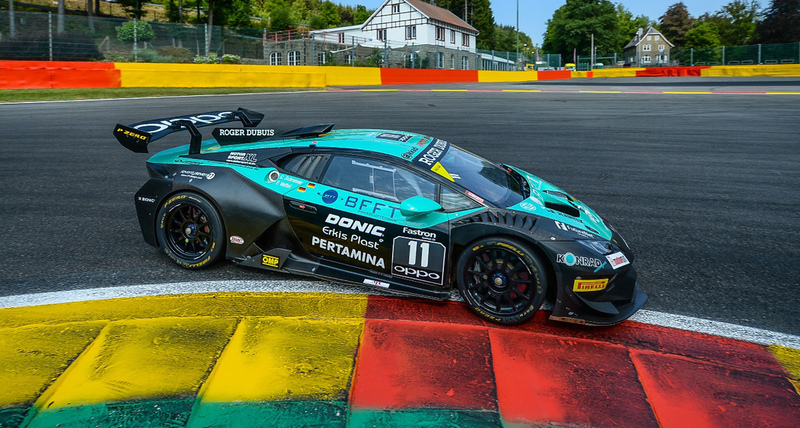 Until the start of the first qualifying of the DMV GTC, however, it got more and more dry. Although, Carrie had changed to slicks too late, she was finally able to achieve P3 in the last lap. Also, in the qualifying of the DUNLOP 60 she put her over 500 hp strong bolide behind the Nürburgring legend Uwe Alzen und the former German formula 4 Champion Marvin Dienst, in the second row on the grid, directly beside the title holder Fabian Plentz in the sister car of her HCB Rutronik team. 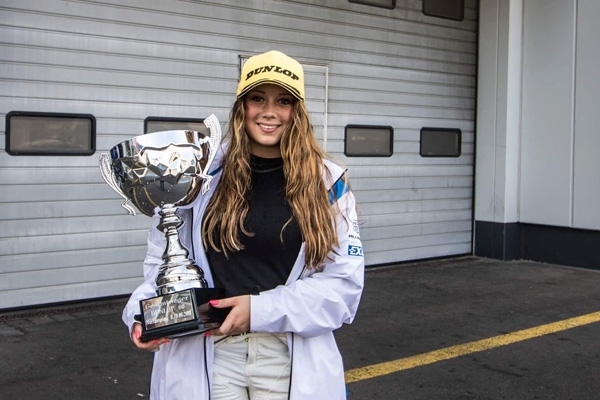 In the one-hour race the 19-year old girl from the Saarland and her teammate Kevin Arnold clearly were the fastest driver pairing in the field and they won easily in the end. On Saturday then, there was bright sunshine. 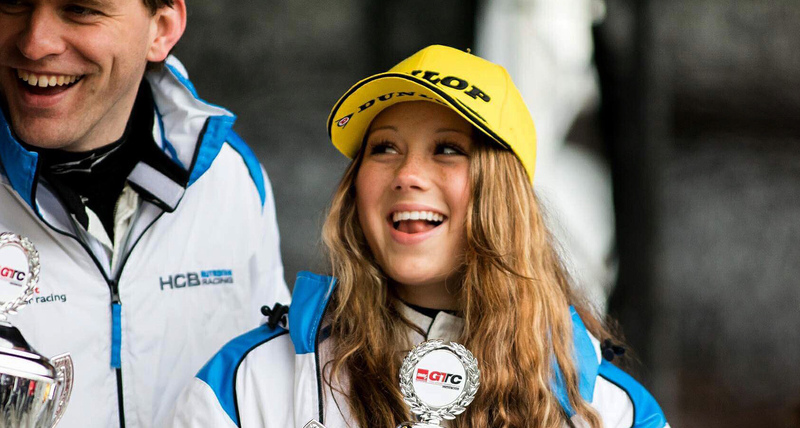 In the second qualifying of the DMV/GTC Carrie clearly gained the pole position with a time of 1.55.9. In race 1 the fast race amazon had a bad start and lost two positions. 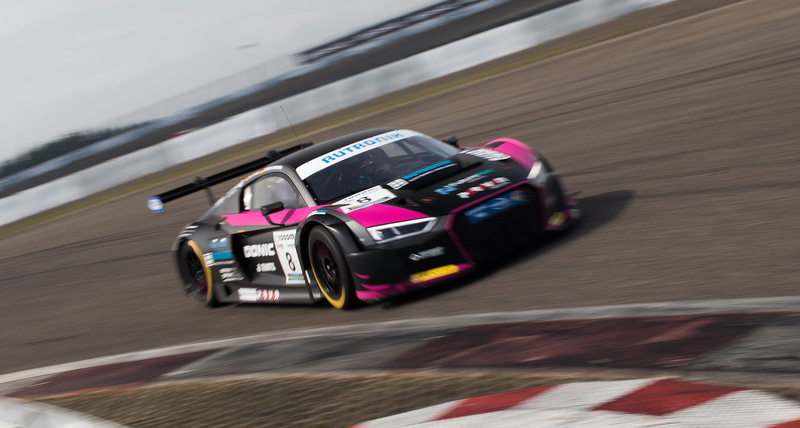 Got them back very fast, but then she was about 6 seconds behind the leading Ronny C. Rock in the Audi GT3 of the team Montaplast Land. Carrie drove one 1.56 time after another and thus continuously reduced the gap to the experienced professional. But in the 30-minutes sprint race it wasn’t enough time, and the young pilot had to accept position 2. 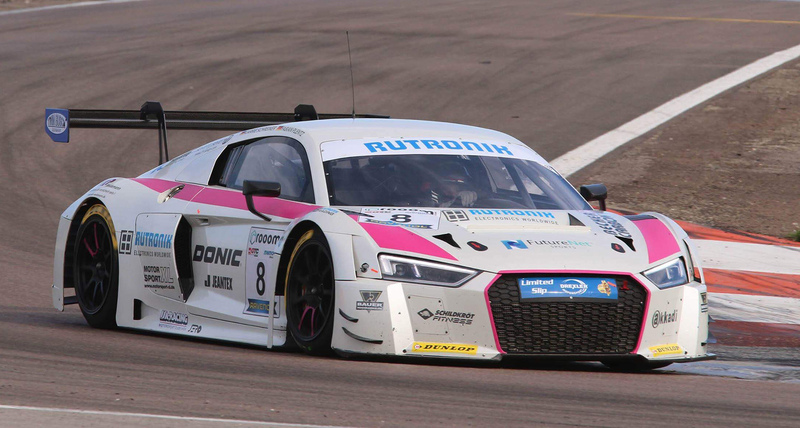 Also, in race 2 she lost the start and took the role of the pursuer again. During the whole race Carrie was chasing the leading car but didn’t find a way to overtake. “The AMG Mercedes GT3 was clearly faster on the straight and in the corners Kenneth Heyer blocked clever and didn’t let me pass. Although I was a bit faster, but without much risk there was no way to pass. You just must think on the Championship! “, said the 19-year old a bit disappointed after the exciting race. Very soon there will be Italian weeks for Carrie Schreiner. 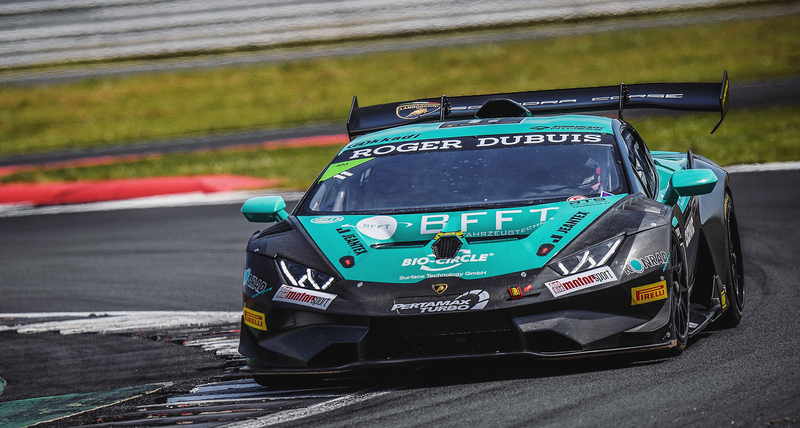 From 22nd – 24th June the 3rd round of the Lamborghini Super Trofeo Europe takes place in Misano and from there to the high-speed circuit in Monza to the next event of the DMV GTC / DUNLOP 60 on 29th/30th June.